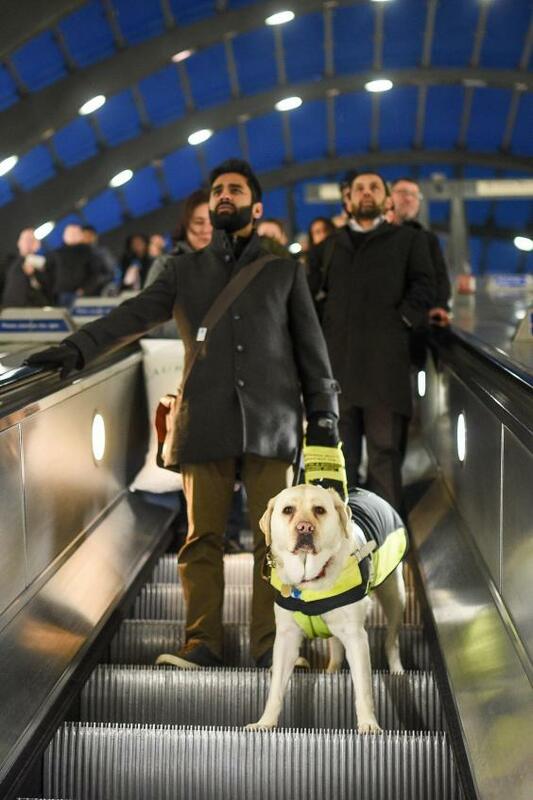 The dipshit wanted to speed down the escalator, and became angry the blind man and guide dog were in the way. So he started being abusive. He was called out for it by other passengers. Some people just can’t help being aresholes, I suppose. How long does an escalator ride take, even if you are stuck? A minute or two?